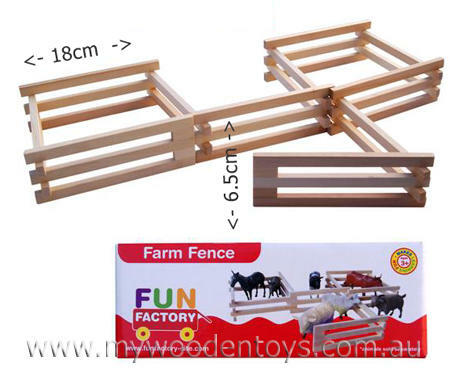 Wooden Toy Farm Fence is a pack of of interlocking fencing which is all hinged together and unfolds. Now you can keep all your animals safe on the farm. The whole fence unfolds to a giant 1 metre 60 cm long and can be arranged in whatever configuration you like. This fencing is a great size with each hinged piece 18cm long. Each farm fence pack has 11 hinged pieces. We like this because: "Great to build and pull apart and build again."